I have just watched on iPlayer the second episode of the new BBC3 documentary series ‘Don’t Call me Crazy’ (www.bbc.co.uk/iplayer/episode/b036djd0/Dont_Call_Me_Crazy_Episode_2/). The series will follow for a year young people experiencing severe mental distress and the mental health staff caring for them in an adolescent psychiatric unit in north Manchester, the McGuiness Unit. ‘With hallucinations, tribunals, and broken family relationships, BBC Three’s ‘Don’t Call Me Crazy’ served up another emotionally- gruelling episode this week. Filmed in an adolescent psychiatric unit in Manchester, ‘Don’t Call Me Crazy’ is emotive and challenging to watch as it follows a handful of young people severely affected by mental health problems. As somebody who suffered from anorexia, depression and anxiety in my teenage years and was threatened with inpatient care, I have watched the past two episodes with great interest and observed the controversy on social media over the ethics of filming adolescents with severe mental health problems who are so unwell they have been hospitalised. Whilst the programme does a fantastic job of challenging stereotypes about mental health and is an honest and eye-opening portrayal of life inside a mental health unit, does this excuse the impact the filming and screening may have on the recovery of these vulnerable young adults? 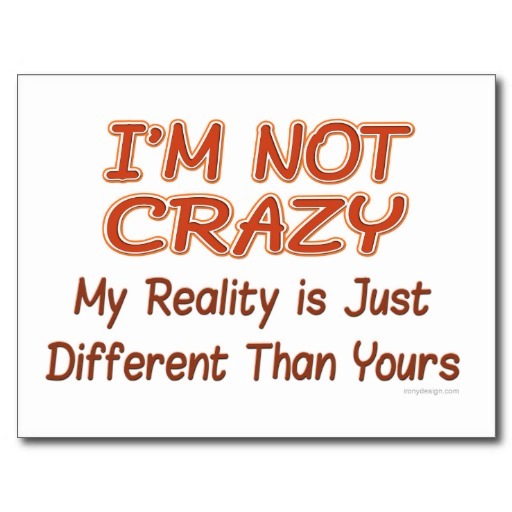 Don’t Call Me Crazy doesn’t gloss over any of the issues surrounding acute mental health care and should be praised for its decision to represent the raw reality of sectioning, tribunals and patients being restrained. Whilst disturbing to watch, this is everyday life for the staff and patients and educating the public about the reality of acute mental health care breaks down some of mystery and fear surrounding severe mental health issues. When we are introduced to Crystal, a fourteen year old girl who has been having visual hallucinations we immediately find out that she has been experiencing psychological disturbances for six years. However, she has not yet received a diagnosis and her parents are starting to despair over what their daughter’s future might hold. This is an accurate depiction of how difficult it can be for young people to access adequate mental health care; waiting lists are often long and the process to even get on a waiting list can be a bureaucratic nightmare. It isn’t until a young person is considered to be a danger to themselves or others that they are ‘fast-tracked’ into the mental health care system where it can still take years to receive a diagnosis. What is poignant with Crystal’s, Gill’s and Emma’s stories is the impact their mental health difficulties have had on their families. Platform Productions do a good job of speaking to the parents and filming them talking about their struggles, hope and fears for their children. For viewers who may not have much understanding of mental health issues, knowledge of the widespread impact a mental health problem can have on friends and family of the sufferer is an important aspect to consider. Beth’s character is perhaps the most bubbly and outgoing of all the patients on the ward and she is chatty and giggly throughout. However, we soon discover that she is suicidal and has a painful ongoing battle with anorexia and depression. The discrepancy between Beth’s behaviour and her mental state highlights how looks can be deceiving when it comes to mental health ; even the bubbliest and most outgoing people may be experiencing unbearable internal distress. She demonstrates that there are many ways people may try to hide their problems for fear of judgement; she talks about hiding her self harm scars when changing at college for example. There is a common misconception that anybody with an eating disorder must be emaciated. This is the image we frequently see in magazines and newspaper articles about eating disorders so it is refreshing to see that Beth doesn’t look as if she is on the brink of death throughout the show. Indeed research by B-eat, the national eating disorders charity demonstrated that 80% of people with eating disorder never become underweight. By not mentioning Beth’s weight or BMI either, the programme is less triggering for people struggling with eating disorders. With its focus on mental health, ‘Don’t Call Me Crazy’ does have a duty to warn vulnerable viewers that it may be upsetting or triggering for some people (which it does before the credits) . However, the close up shots of self harm scars may be triggering or upsetting for individuals who have experienced this issue; a small amount of time researching this before production would show that it is not advisable to show open wounds after self harm as it may trigger others. In addition, when it is revealed that Crystal is having thoughts of harming her father, this perpetuates the false notion that people with mental health problems are often violent and dangerous as the narrator does not make any attempt to reveal that in reality, whilst occasionally people with mental health issues do become aggressive, they are far more likely to become the victims of violent crime than they are to be the perpetrators. The biggest concern over ‘Don’t Call Me Crazy’ is of course the impact the filming and screening of the show may have on the patients’ recoveries. Is having a camera follow them round a psychiatric ward really going to help these young people adjust back to real life easily when they are discharged, or does it create an even bigger divide between life as an inpatient and life outside the ward? One of the concerns with admitting a young person onto a psychiatric ward is that it tears them away from their friends and they may find it even more difficult to manage their problems after spending time away from normal life pressures. This is why people are only hospitalised in the most needy circumstances. Making the unit even more ‘different’ from real life by having cameras around may make it harder to re-adjust to life after discharge. In addition, they have in some ways, become ‘famous’; the subject of much media attention despite their vulnerabilities. Beth has already received a number of unsupportive tweets commenting on her size. For a young woman in recovery for anorexia, I would be concerned about the impact this may have on her. In conclusion, I am leaving the jury still out on ‘Don’t Call Me Crazy’ for just now’. In my view, having watched all two episodes of the new documentary series, ‘Don’t Call Me Crazy’ offers a brilliant medium to challenge mental health stigma for all the reasons Rachel Egan outlines in her commentary. Notwithstanding Rachel’s concerns and reservations, which I also share to a certain extent, the series conveys strongly a key message that is vital for combating mental health stigma and discrimination – the message that the young people’s acute mental distress needs to be seen and understood in the context of their biographies and life histories, and in relation to traumatic life events and experiences the young people have lived through, rather than as a result of chemical imbalances and faulty brains, i.e. the focus of bio-medical psychiatry. And there is evidence to suggest that psychosocial explanations of mental illness and distress are more likely- compared to biological and bio-genetic explanations – to encourage understanding and public acceptance of people suffering from mental illness and distress, and thus help challenge mental health stigma and discrimination (Read et al., 2013; Angermeyer et al., 2011). In a nutshell, what ‘Don’t Call Me Crazy’ succeeds in highlighting is that the important question for young people in severe mental distress is NOT ‘What is wrong with you?‘ BUT ‘What happened to you?’.